This course is for design professionals who want to efficiently learn concepts and features of Grasshopper at an accelerated pace in an instructor-led hands-on environment. 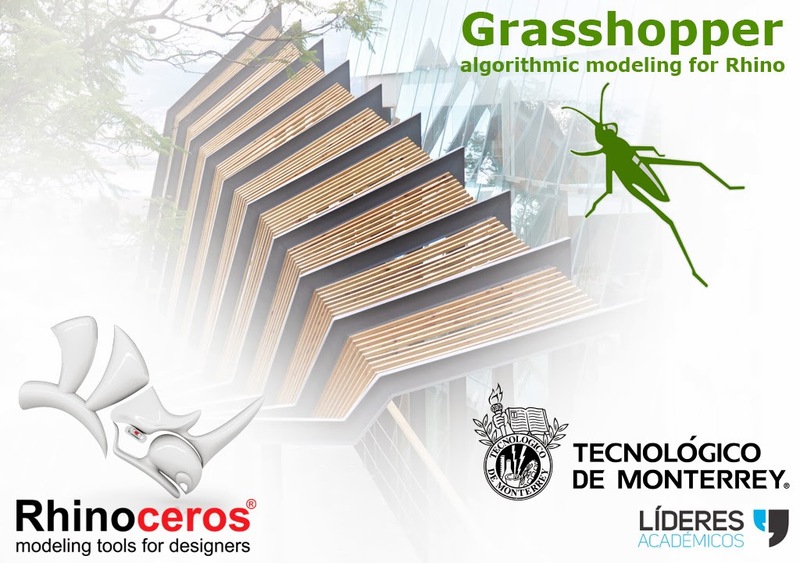 This workshop will provide students a functional understanding of Grasshopper concepts, necessary to obtain effective algorithmic and computational knowledge to model parametric 3D shapes for design studies and concept development. Participants should have basic knowledge of Rhino 5. A RhinoFabStudio™ (fabrication studio) is a small-scale digital workshop, certified by McNeel, with an array of Rhino and Rhino compatible software and computer controlled tools and training. These tools cover the various leading-edge industrial methods and materials needed to design, analyze, and fabricate almost anything.